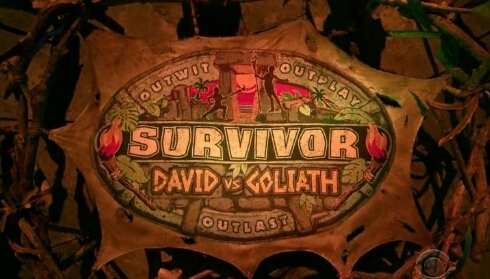 Survivor's going biblical for its 37th season! "It is the duty of the little Davids of this world to fling the pebbles of truth in the eyes of the blustering Goliaths and force them to behave!" ^ikr... we're pumping dry wells here. they need a new creative team so bad! Sana gumawa sila in the future ng GLOBAL survivor. Castaways from around the world. Interesting makita on how they will interact and strategize knowing na malaki ang cultural differences at may language barrier. A teen survivor is also good. But not PBB teens level. the Fantasy League will be back for season 37, with @Leo Valdez @mykel14 reprising his role as host and facilitator, and our generous producer, sir @forg. i'm sure @ladypirate is super excited ! i think they're having problems with prize tax issues and stuff, but i'm on board with this. in fact, i already have a concept in mind... 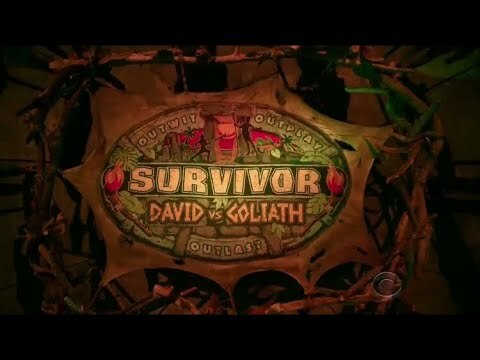 Survivor: New World (10 US returnees vs 10 international contestants from previous seasons of international versions of Survivor). Australian Survivor maybe the first one to have this as rumors have it, Russell Hantz may be participating in the upcoming season of their franchise. possibly as a contestant. Rupert also previously appeared in one season of the Israeli version, but only as part of a reward. I also read an article na may pitch to do an all winners season for their 40th edition. ^i'm not ready for an All Winners season yet, cos that might mark the beginning of the end for the show. although, season 37 and 38 were supposed to be returnee seasons, but were scrapped and might be reintroduced for seasons 39 and 40 instead. Fans vs Favorites 3 and Second Chances 2 were heavily rumored to have been their themes. ^ An all female season can possibly be a good surprise too..
^i don't think they allow anyone from production and the dream team on the show. too much info on bts events. In the next few weeks, matatapos ko na 'yung sa Survivor: HHH. HAHAHAHA!!! May prize pa rin 'yun. And, of course, the new badge for the new PEx, if admin @yesto and @forg would allow it. Send mo lang yung guidelines ulit. Bwahaha mga baliw Fantasy League pa more! Di ko alam bat ganun yung title. Iniisip ko sana 10 newbies tapos 10 na top notch survivor players. akala ko rebranded ng fans vs faves. medj nakakaumay na yung place nila. magkaroon kaya ng heroes vs villains 2?